!Please note that the conference will be held mainly in Danish! Nothing we have ever experienced will come close to the impact of the digital transformations that are about to transform the whole of our global community. Or so we are told. 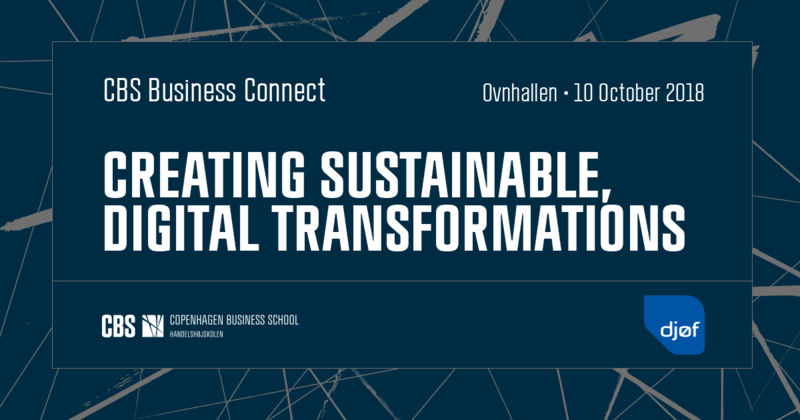 CBS Business Connect bring leading researchers, business, politicians, students, organizations and government together to discuss how we best create sustainable, digital transformations. Per Holten Andersen, President of CBS and Louise Seest, Director of CBS Business. Chief Relations Officer for Founders House Zenia W. Francker will be moderating. Joint keynote: The economic and societal impact of digital transformations on business and society. - Ioanna Constantiou, professor MSO, PH.D.
Panel: What are the business models of tomorrow? Keynote: What competencies do we need to stay competitive? Panel: How to successfully lead and navigate the new, digital workplace. Fireside chat: What does it take to be successful in the year 2030? CBS Business Connect 2018 is organized in association with Djøf.